With the kids returning back to school or for those eagerly starting, we are going to need to wind back into our routines and what better way than with a tasty treat for the mornings for breakfast on the run, but with little sticky fingers and faces and you in work gear, don't forget to bring those trusty wet wipes along! I've teamed up with Contact Numbers UK to share with you some handy tips on how to maximise the savings out of your club cards and helping you to utilise their service with family favourite supermarkets such as Sainsbury's, Tesco's and Morrisons. Contact Numbers UK have a vast directory of customer service numbers for Sainsbury's, Tesco's, Morrisons and a massive range of UK businesses all under one roof, helping you get in touch with your family favourite supermarkets. We all know how hard it can be to get the right number for the right department! Contact Numbers UK do all the hard work for you, whilst bringing all that info required at the touch of your finger tips in just one place, helping you source the best deals on offer and contact numbers for the relevant companies. Thanks to Contact Numbers UK they can certainly help you with that 24/7 - 7 days a week. With school uniforms, lunches, stationary to buy you want to make sure you watch the pennies and the pounds will take care of themselves, so my dear old Ma says. For me what I like to do is use my club card rewards points to go towards Leanora's nursery clothes, so each new term all the points that I have collected and saved in Sainsbury's will go to some much-needed essentials, which consists of mostly socks and underwear. With a few additional points left over, I decided to buy a few tasty treats and make these tasty Yoghurt lollipops. A great way on scoring more points and some that they do not tell you about in store, is by checking Sainsbury's Nectar card app, a few weeks ago I managed scoring extra points, just by logging back into the app. So quick and super easy to make only a few essentials needed and perfect for the whole family before and after school. 1. 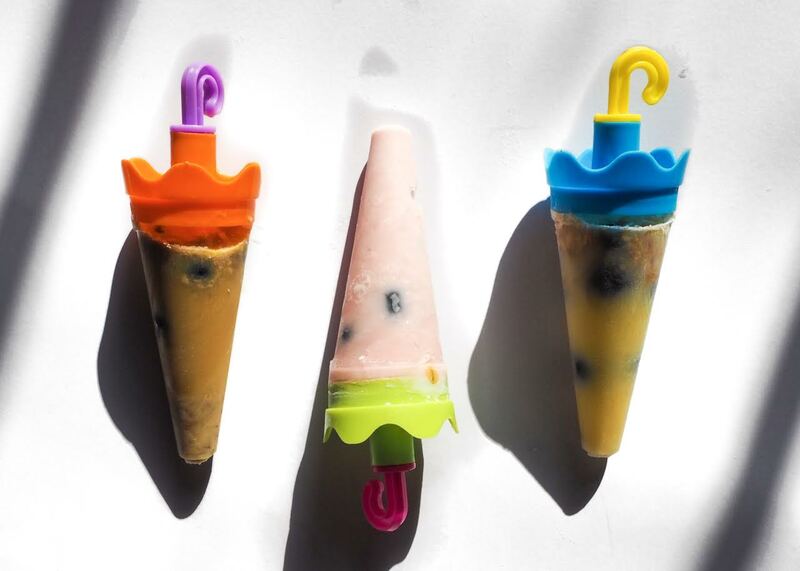 Pour in half of your yoghurt into your lollipop moulds, drop a few blueberries a sprinkle of granola and repeat until filled to the top then freeze. That is it, how quick and simple is that, little fuss, little mess, just what Mumma needed and the kitchen too. By making your own yoghurt lollipops, you will be saving your self a whole lotta dosh, plus you know what is actually going into it. A massive thank you to Contact Numbers UK for collaborating with me on this tasty post.